Hugh is one of the most important figures in punk and new wave music. He was the lead singer, guitarist and songwriter in one of Britain’s most loved and most influential bands of all time: The Stranglers best known for their hits “Golden Brown”, “No More Heroes”, “Peaches” and “Always The Sun”. In August 2015, Hugh Cornwell released “The Fall And Rise Of Hugh Cornwell” through Invisible Hands Music, on LP and CD [Cat Nos IH61, IHCD61]. The first ever anthology of his post-Stranglers career, twenty five years on from leaving the band, this album brings together twelve choice Cornwell classics taken from the first six solo albums, plus one brand new studio recording, “Live It And Breathe It” [on CD format only]. Live It And Breathe It [CD format only]. 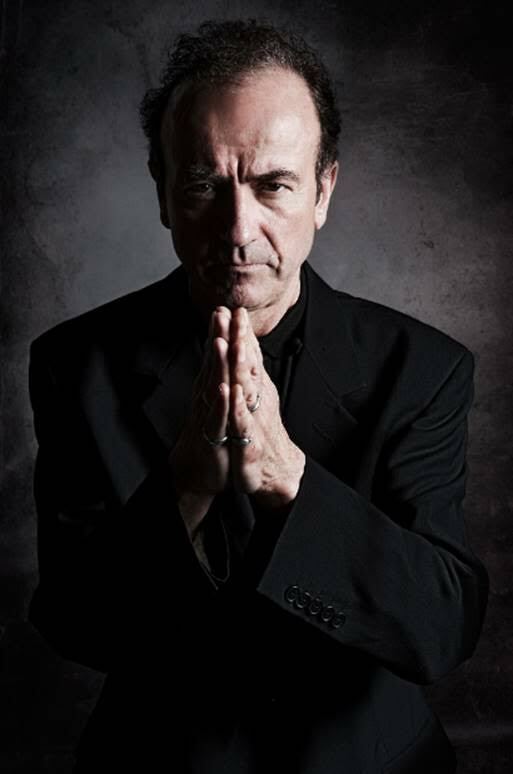 “The Fall And Rise Of Hugh Cornwell” is sure to be a hit with Stranglers fans and others curious to catch up with the solo work of this revolutionary, radical legend of modern music. This album is a carefully curated dip into the deep pool of work created in the twenty seven years since Hugh Cornwell has been releasing solo albums.